Just a heads up…there’s going to be a bit of radio silence here over the next few weeks. Baby is on his way soon, and I think my sewing is done for now. I will be taking a bit of a maternity leave to enjoy my time with him, but I’ll be sure to pop in now and then to update you on his arrival and such! My local chapter of the modern quilt guild decided to do a pillow swap for our May meeting. We each filled out an info sheet with our favorite fabric designers and style and were matched up with a partner. I had a fun time making this pillow for my partner. I follow her on Pinterest, and she pinned this modern herringbone block tutorial a few weeks ago. That gave me the inspiration for her pillow. I made a small sample block to check the sizing and such and then just went for it. 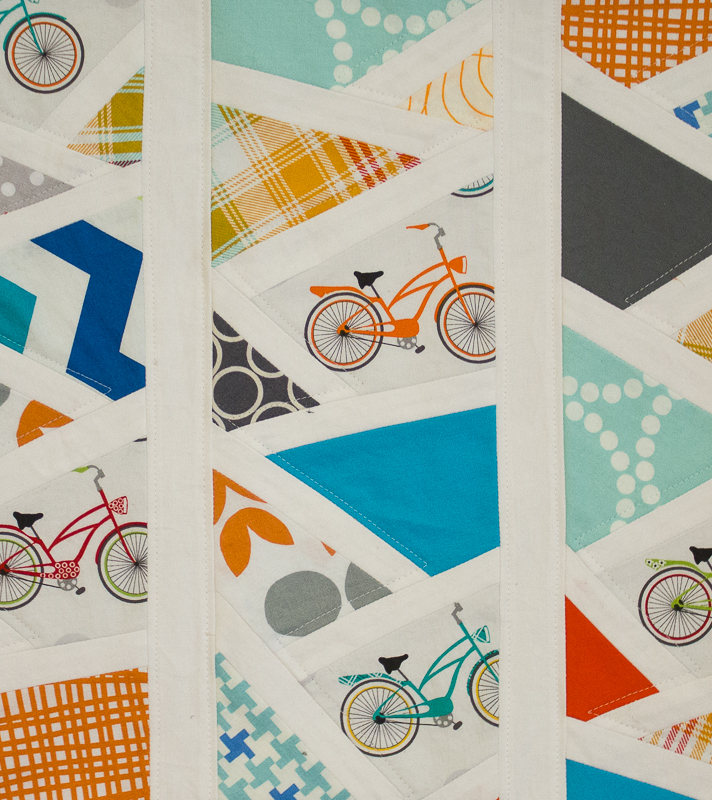 On her info sheet, she said that she loved the Cruzin’ fabric line and her colors were gray, white, orange and blue. I used Cruzin’ as my main fabric line and tried to pull the other colors into the block. I really like how it turned out. Since this was for the quilt guild, the pillow needed to be quilted. I used my walking foot to follow the herringbone lines down the quilt and then quilted 1/4inch on each side of the white border. Loving my walking foot!! 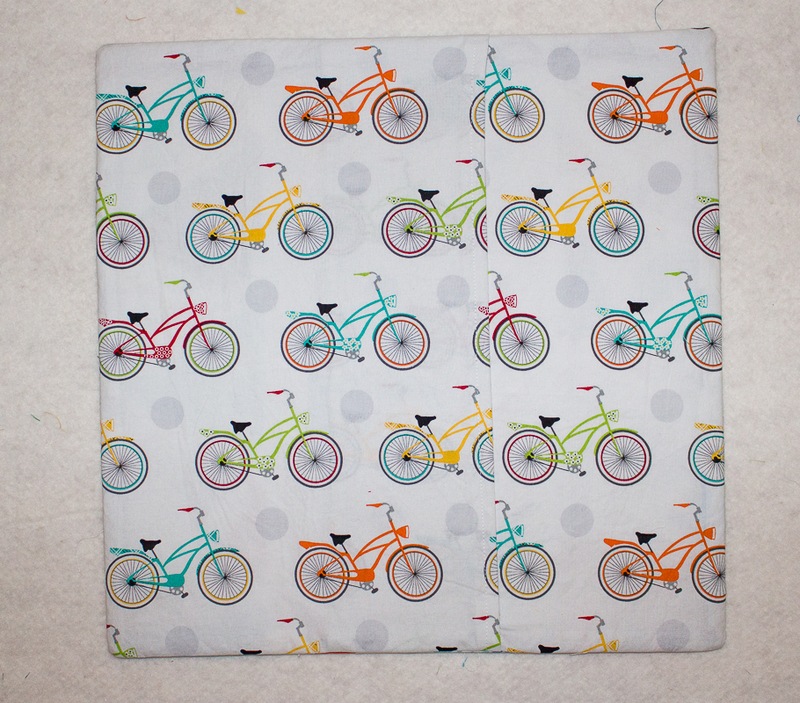 I used the Cruzin’ fabric as the pillow backing and made an easy envelope back. The pillow measures 16″ square. The only sad part is that I don’t get to keep it. 🙂 But my partner did a great job and made me a pillow with Lotta Jansdotter fabrics so I am quite happy to swap for that! 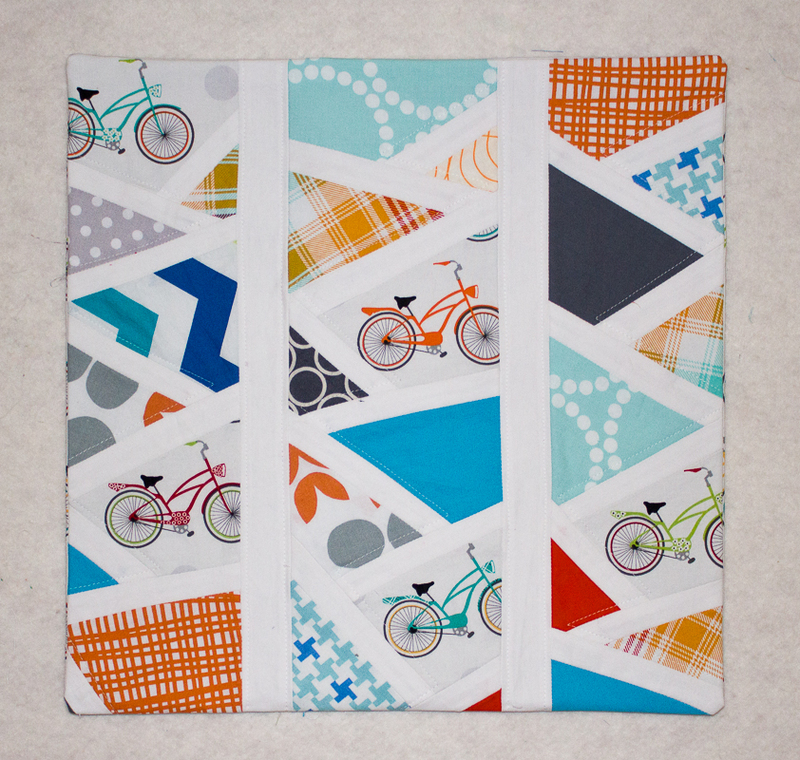 This entry was posted in Sewing and tagged herringbone pillow, modern quilt guild, pillow, pillow swap by oliver's fancy. Bookmark the permalink.